Country style pork ribs are one of my favorites to prepare anyway, but these curried ones really take the cake! Heat olive oil in dutch oven over medium high heat. Season ribs with salt and pepper, and brown all surfaces; remove ribs and set aside. Add curry powder, garlic powder and onion powder to dutch oven, stirring with wooden spoon to toast spices. Add base/bouillon and stir well with wooden spoon, scraping sides of dutch oven to loosen and incorporate any bits that stuck to pan during searing. 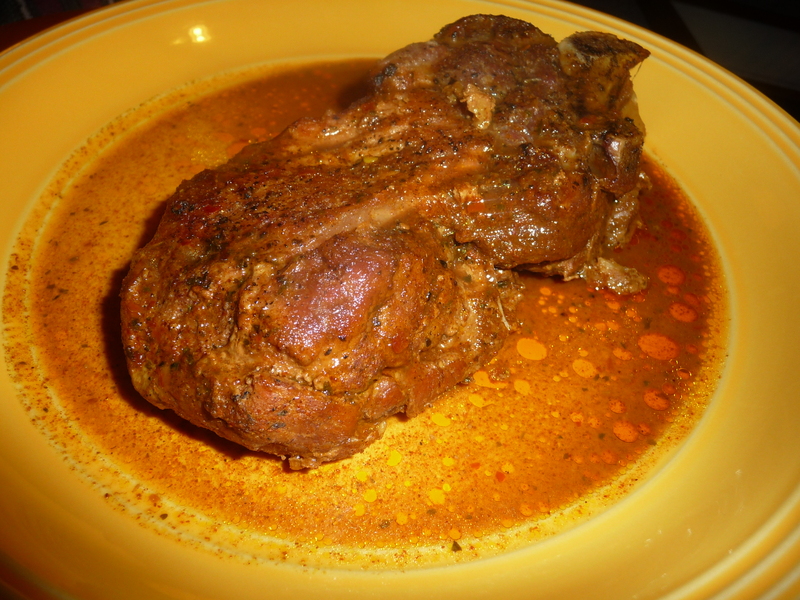 Bake for 2 1/2 – 3 hours; pork should be falling apart/off bone. These turned out really juicy, fragrant and full of flavor. We ate them with some of the “gravy” spooned on top.